The Amazon Firestick has long been one of the most popular streaming devices on the market with its simple to use interface and plug and play functionality. With the use of the Amazon Fire Stick, users can stream any content over TV with the help of WiFi. Netflix, Hulu, HBO Go, etc. can be easily streamed over the TV with Fire Stick and there are many other things you can access with Kodi on the Firestick too. By using the Fire Stick, you can turn your standard TV into a smart TV just by plugging the device into the HDMI port. But before we go deeper on the Best Alternatives to the Firestick of Amazon, lets to talk about its main features. The latest version of Fire Stick comes with Alexa incorporated. Therefore, it has a voice command button to control Alexa at any point. The streaming device offers a varied selection of Amazon Prime content to watch the latest TV shows and movies at any time. The Fire Stick is relatively easy to use. All you need is a Prime membership along with a good WiFi if you are interested in Prime Video. You can in fact stream Prime Video from different countries giving you access to unique content as long as you have a VPN in place. Even without a Prime account, there are a wide variety of applications available for Amazon Fire Stick. With the latest improvements in WiFi connectivity and Alexa, Amazon Fire Stick is a better device with a modern interface. Get your hands on Amazon Fire Stick, and you can even let go of your cable TV provider. However, while the Firestick is undoubtedly an excellent option, it’s not the only game in town. There are many other devices that are worth considering which we shall discuss in more detail below. But, now before going deeper on this Best Alternatives to the Firestick review, let’s talk about some security and privacy concerns. A VPN (Virtual Private Network) is a secure gateway between various devices. The basic functionality of a VPN like IPVanish, is to prevent monitoring of private web traffic. Individuals these days are making use of public WiFi facilities all the time. These WiFi connections are unencrypted by default. Hence, there is a huge risk of one’s data falling in the wrong hands. A VPN protects or encrypts the data, thus, safeguarding it. There are a number of entertainment as well as sports TV shows that are censored/banned in particular countries. A VPN can bypass these restrictions and provide access to these shows by barring the censorship. Thus, it is the perfect solution to one’s entertainment needs. Many internet service providers as well as governments, in some cases, keep records of a users’ browsing history. For those wanting to protect their privacy and keep their browsing history to themselves, using a VPN is a great option. It prevents any third entity from accessing your browsing data. Also you can read more on this, by visiting our article on the 5 reasons to use a VPN! For all of the reasons mentioned above, streaming without a good VPN is risky these days. The privacy and security of users are at a huge risk. In certain countries, concerned authorities are targeting people under copyright infringement issues. Thus, putting large fines and criminal charges against them. However, choosing the right and a Good VPN like IPVanish is not always easy to do. There are many different companies offering VPN services at cost and there are even others that offer VPNs for free. At first glance a free VPN seems like a no-brainer, but in reality, these might actually end up “costing” you lots more! You see a VPNs strength is the privacy that it guarantees you. VPNs like IPVanish have a “zero-log” policy. What this means is that not only do they secure your content online, but they also do not track it so if asked by legal or government resources about your activities, they have nothing to share. Free VPNs do no offer this protection. In addition, commercial VPNs like IPVanish have fast servers all around the world that help you bypass restrictions on content. Free VPNs have limited servers accessible and often these are not the fastest. Basically once you connect to them, your traffic will slow dramatically making streaming content quite difficult. Finally another issue with free VPNs is the fact that they have been known to install tracking and malware on devices. Removing this from your computer is not only difficult it can be quite costly. As you can see, there is a reason that I always recommend IPVanish when it comes to VPNs. To help you on this, we’ve negotiated a special discount for readers of this site. Currently, Apple TV 4k is one of the best streamers available. The device is compatible with 4K, Dolby Vision and HDR to provide a polished streaming experience. Apply TV 4K has by far the best remote in the market with Siri voice control. The device provides a fantastic viewing and hearing experience with the Dolby Atmos and Vision. Availability of Amazon Prime Video along with Netflix and multiple add-ons. 4K HDR screensavers to provide an ultimate high-resolution experience. There is a lot of promise to the Apple TV 4K in the future. The device provides better security and safer home control. Even though Chromecast is not actually a media streamer, it does provide a seamless streaming experience. By directly plugging in your Chromecast to your TV, you can stream content from any device. Stream YouTube video or Netflix on your TV or PC. The device supports 4K video as well to provide an ultimate viewing experience. It is integrated with Google Home. The device offers multiple features with smart and powerful streaming at affordable pricing for all the 4K TV owners. Google Chromecast Ultra is the way to move forward for a smart home. SkyStream provides users with a fast and user-friendly streaming option. This Android TV box comes with six different packages to cater to every type of user in the market. The new user interface is entirely customizable to provide an effortless streaming experience. 4K Ultra High Definition streaming to provide crystal clear pictures. Amazing Airmouse remote with voice control. Pre-installed android applications to provide a complete user experience. The new interface along with the plug and play features takes the SkyStream Three way above its predecessors. The SkyStream Three is a great android TV box with a smorgasbord of content and excellent picture quality. Being one of the topmost streaming video players in the market, Roku offers compatibility with 4K and HDR along with a smooth operating system to provide users an elite experience. Thousands of channels with 4K HDR for a fantastic viewing experience. Universal search and additional storage with the USB port. 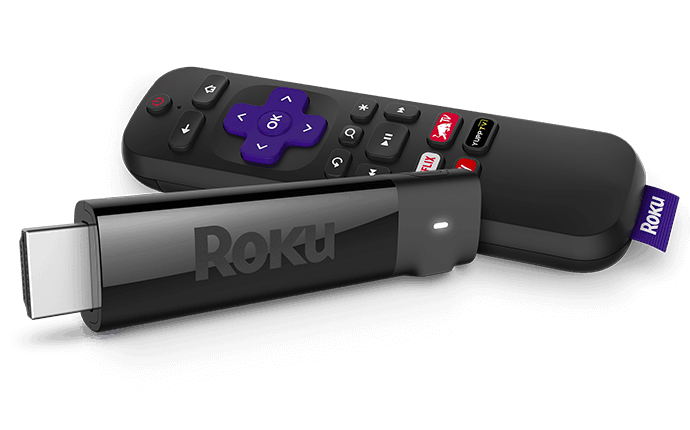 Roku Channel along with multiple other applications make Roku Ultra one of the favorites. Roku Ultra provides the most affordable streaming entertainment available in the market. With better performance and top tier hardware, Roku Ultra is definitely a premium streaming device. In spite of the term ‘TV’ in its name, it works as more than just a video streaming device. It was designed keeping in mind the gamers. And hence, works really well for them, especially with the extra Xbox style remote. The device offers excellent 4K, and HDR media support, making streaming a delightful experience. 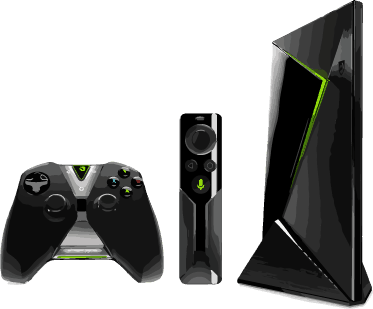 With over 200 games available via Android TV and exclusive Shield TV ones, Nvidia Shield TV is an attractive buying option! The Hands-free Google Assistant support adds to its ease of use. The device is a little on the expensive end. However, with the features that it has on offer, it is worth a buy! Without a doubt, Amazon Fire TV Stick is a great buy for its value. The device gives you unlimited access to innumerable apps and channels. Stream your favorite movies and shows from Prime Video, Netflix, HBO, NBC, YouTube, etc. The control lies in your hands with an exciting Alexa Voice Remote that accompanies the device. Play music, watch movies and have an everlasting entertainment with Amazon Fire TV Stick at a great value! When it comes to a comparison as to which device offers the best applications, it has to be Chromecast Ultra. Chromecast ultra makes streaming easier and affordable. The best part about the device is that it allows you access to all the applications you already have on your phone or tablet. All you have to do is click on the cast button, and you are good to go! 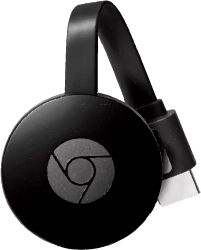 Be it Netflix, Plex, PlayStation Vue, BBC iPlayer, Google Play music or any other apps, and you have it all handy with Chromecast Ultra. Using voice commands to make your device work is an exciting idea. Apple TV 4K voice commands are beyond compare when it comes to it! They can basically make the device do anything! Whether you wish to unlock the device, read onscreen labels, navigating through different screens, etc., Apple TV 4K does it best! Just press the Siri button and start talking. Your streaming device will do it all for you. Ask for recommendations, check out the top lists and much more by just talking! Apple TV 4k isn’t just a great option for iTunes, Netflix or other video streaming. It has an amazing pool of games too that are extremely fun to play! The device offers compatibility with games of various genres. Games like Crossy Road, Oceanhorn, Rayman Adventures, Dungeon Hunter, etc. are a big hit among the Apple TV users. 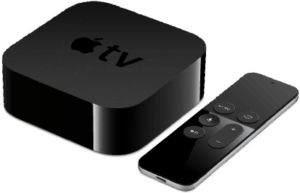 With tons of exciting features and offers, undoubtedly, Apple TV 4K is the Best on the Best Alternatives to the Firestick, when it comes to streaming devices. The device performs the best in all the criteria when it comes to deciding on a streaming device. Whether it is streaming videos, watching movies, playing games or controlling the device, Apple TV 4K does it best! The only thing to be looking out for is its comparatively higher price. If you can afford it, go buy one for yourself today! In this review, we’ve listed and analysed 5 Best Alternatives to the Firestick of Amazon for streaming. While the Firestick is an excellent entry level choice, if you have the budget to splurge, you can get a device that far exceeds it in terms of overall functionality. No matter what your choice would be, don’t forget to protect yourself using a Good VPN like IPVanish or, if you already have one, to check if its listed as the Best VPNs for Streaming. 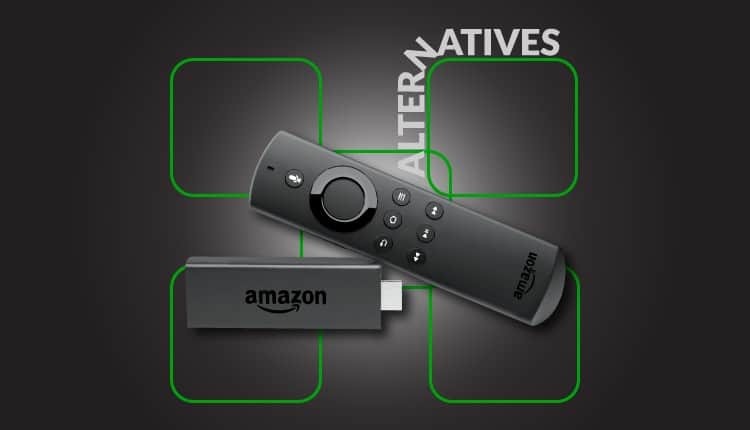 Hope you’ve liked this review on 5 Best Alternatives to the Firestick of Amazon in 2019. If so, please share this insights with all your friends.